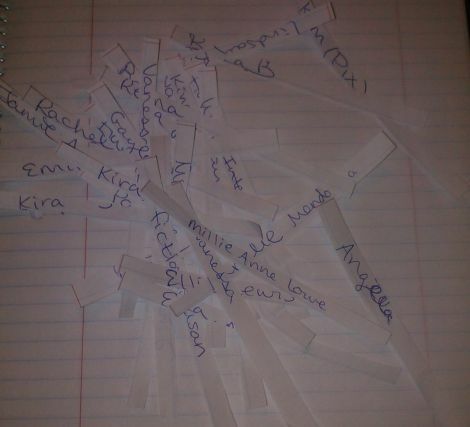 As promised, the results of the Chosen: Book I giveaway! After compiling all the names of those who entered, I enlisted the help of Benny, my faithful feline companion, and Emily, my faithful friend and punster, to select the winner in the most scientific way possible. By putting each name on a little strip of paper and drawing a name out of hat. Here you see Benny inspecting the hat to make sure everything is entirely on the up and up, and also, that nothing within the vicinity is edible and/or made of cat food. Congratulations, Kim! You’ll be receiving your copy of Chosen: Book I shortly after the new year! As will Mark Hamill’s stirring performance on The Muppet Show.